One of the best ways to turn the look of a plain suit around is to pair it with an amazing dupatta. Not only can you be effortlessly stylish, but the best part is that you can be as creative with the dupatta as you want to be. And with the different kinds and designs of dupattas available in the market, there is no dearth of styling options when it comes to dupattas. 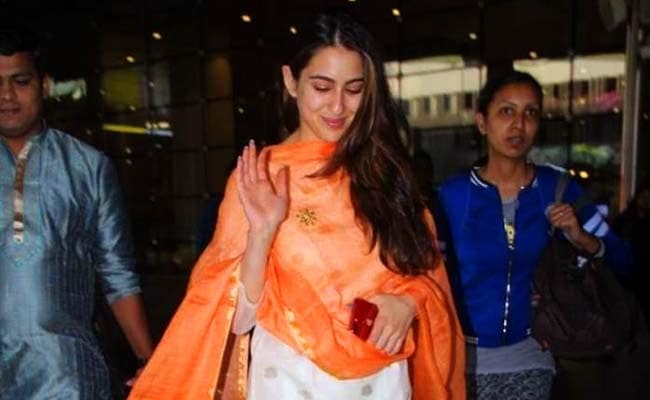 You can take a leaf out of Sara Ali Khan's book if you want some dupatta style inspiration; the actress wore a beautiful orange chanderi looking dupatta with a white suit. Over the year, we have seen Sara wear a lot of suits with some amazing dupattas. Check her look out. 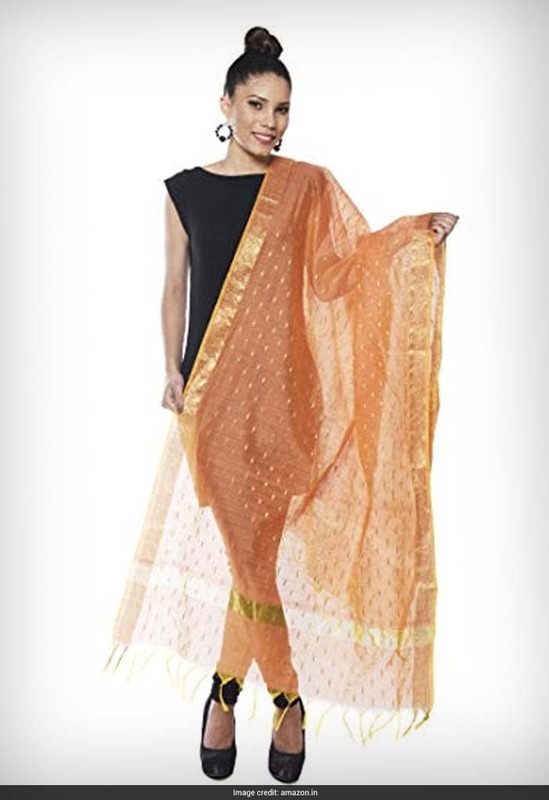 If you want to rock an orange chanderi dupatta like Sara, we recommend you go for this Handicraft Palace chanderi silk dupatta. It is simple, elegant, and pretty. And the dupatta will go with a lot of different kinds of suits - navy blue, red, brown. Priced at Rs 499 after discount, you can buy it here. 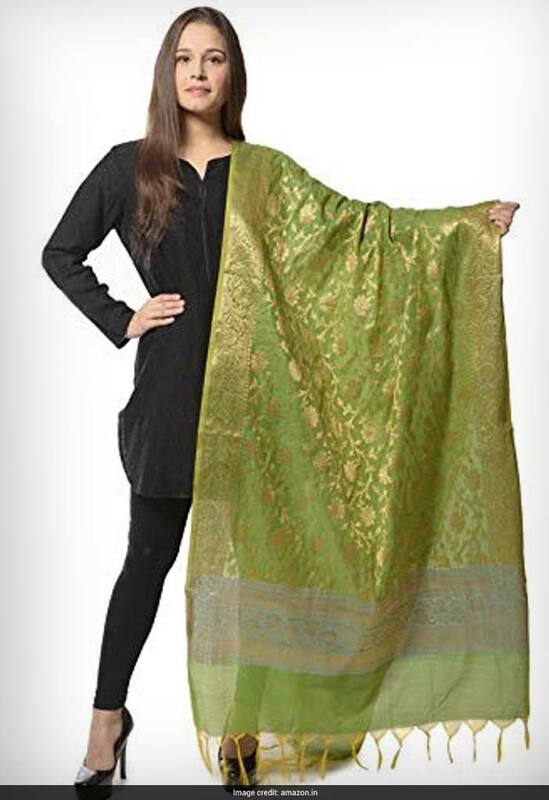 Where the above dupatta is more on the simple side, this Weaving Wonders Banarasi silk-cotton blend chanderi dupatta comes with rich work all over. Best for wedding and festive season, this dupatta will totally give a very royal look to your outfit. 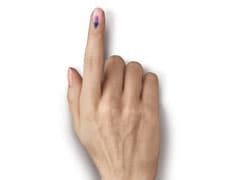 Priced at Rs 899 after discount, you can get this here. But if you want to go for something not to rich and not so simple, go for this different Weaving Wonders piece. 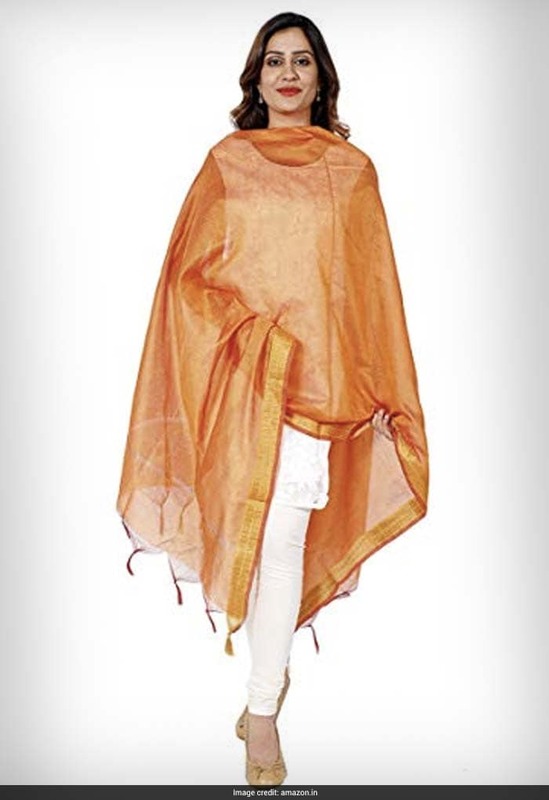 Airy and lightweight, the dupatta is sure to make you look elegant and beautiful. Priced at Rs 599 after discount, you can get this here.